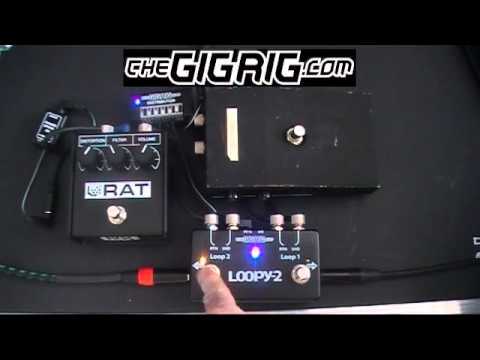 TheGigRig Loopy - 2 is SO cool. It's perfect for your small pedal board when you still need to ensure the purity of signal but at the same time keep things nice and simple. Don't be fooled by its small size. We use grade A quality gold contact relays and employ all of our switching expertise and experience to give you this ultra-quiet and compact totally professional double true bypass looper. PLUS our new design gives an added advantage, the ability select the 'flip-flop' function.